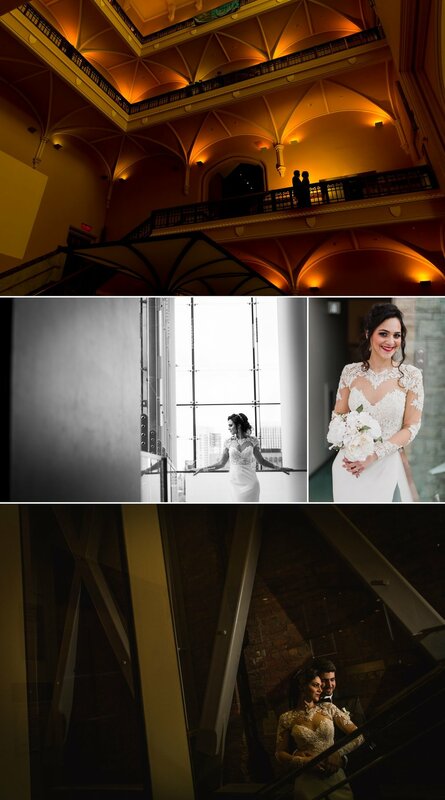 Sofia and Bassel had an intimate wedding ceremony at the Ottawa City Hall surrounded by a few of their closest family and friends. The ceremony was touching and filled with little moments celebrating their shared sense of humour. Sofia is Moroccan and Bassel Lebanese. We were able to take a few minutes for both of them to change into beautiful, traditional attire for a few couple's photos. It was supposed to rain, but the weather held up long enough for us to take some portraits outside and then head to the Museum of Nature for a few indoor portraits.